That's all from Holyrood Live on Wednesday 30 May 2018. MSPs unanimously passed the Islands (Scotland) Bill. The "historic" legislation will offer greater protection and powers to Scotland's island communities. It gives island councils extra powers over activities on and around their coastlines and requires ministers to have a long-term plan for improvement. Islands Minister Humza Yousaf said the passage of the bill was "an important milestone for island communities". Mr Stewart highlights measures in A Fairer Scotland for Disabled People which address some of the housing issues raised. The minister argues local authorities should meet the needs and demands in their areas. He says the Affordable Housing Programme is for all of Scotland and all of Scotland's people. The minister tells the chamber that no one knows the concerns of those with learning disabilities better than those people themselves. The dire shortage of private rental properties suitable for disabled people has been exposed by a new report. The Equalities and Human Rights Commission said 93% of 8.5 million rental properties in the UK were not accessible to the disabled. It called on ministers to take action to improve housing accessibility. The government said it was providing councils with almost £1bn over the next two years to adapt properties for disabled people. The EHRC report said many local authorities in England, Scotland and Wales have not collected data or planned for the future, even though the number of disabled people is increasing. Housing Minister Kevin Stewart states the Scottish government is committed to improving the lives of people with learning disabilities. He recognises the role appropriate housing can play in this. A house can be safe space, a place which anchors us to our communities, and gives ourselves a sense of place, the minister says. People with learning disabilities have no lesser right to this that anyone else, Mr Stewart tells the chamber. 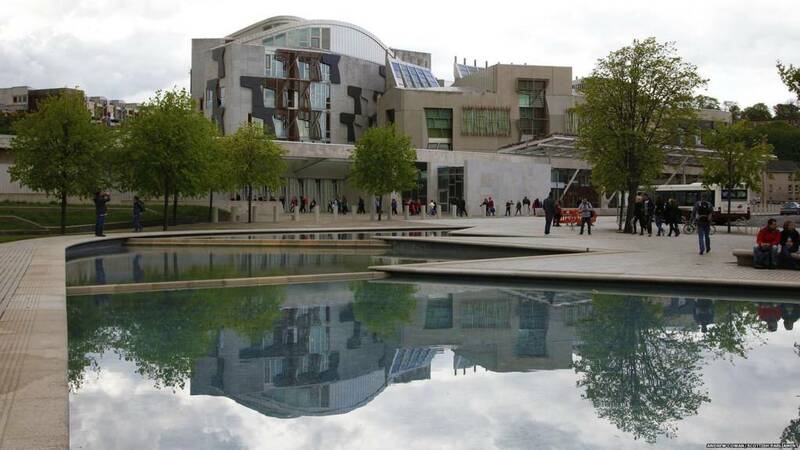 Twenty years of progress towards real equality for disabled people in Scotland could be at risk, the Equality and Human Rights Commission has said. The commission warned that a "concentrated effort" needed to be made around housing, hate crime, mental health, employment and education. And it said 15% of Scottish wheelchair users were "inadequately housed". But the Scottish government said the report failed to acknowledge its disability delivery plan. Labour MSP Pauline McNeill begins: "A decent warm home to suit your needs is a right." The Labour MSP goes on to say: "Society must and should give support to all those who need it." "Scotland's 120,000 people with learning disabilities must have the type of support that they need to live in a home of their own choice." Tory MSP Jeremy Balfour says things have moved on since the 1970s when people were left in institutions which did not meet the needs of them or their families. The majority of people with learning disabilities now live in appropriate housing, he highlights. However, he accepts there are different practices in different local authorities and more must be done to ensure a standard consistency of service. Mr Balfour speaks about the need to ensure appropriate housing is built for people with learning disabilities. It is often expensive to make alterations to housing at a later stage, the Tory MSP notes. Housing Minister Kevin Stewart calls for local authorities to discuss this issue with officials, adding subsidies are available. Ms McAlpine highlights the recommendation of the SLCD report for a cluster of homes around a support hub, which she says from personal experience she knows can work. Ms McAlpine points out that data must be improved at a local level, as highlighted in the report. It also calls for better guidance and joint protocols between local authorities and social landlords, she says. SNP MSP Joan McAlpine says: "Four walls and a roof make a house, but it's a home that many people with learning disabilities ache for." Good practice varies significant between local authorities and there is a lack of guidance for people with learning disabilities looking for a home, she highlights. Too many individuals still live in inappropriate residential care, Ms McAlpine states. The SNP MSP explains there is a wide spectrum of needs among people with learning disabilities but most will need some support. She tells the chamber that social isolation and bullying is a common problem, and also notes people are often housed in areas with high crime rates, leaving them more vulnerable. SNP MSP Joan McAlpine leads a lead a debate titled 'Appropriate Housing for People with Learning Disabilities'. MSPs unanimously pass the Islands (Scotland) Bill. Islands Minister Humza Yousaf welcomes the cross-party support for the Bill, joking he has rarely applauded every single contribution in this chamber! This is a culmination of the part of the journey we are on, he says. He agrees that the national islands plan must reflect the diversity of the islands. This Bill sends a very clear message to island communities that we value them as much as we do mainland communities, the minister states. Islands play a huge role in our lives collectively as a nation and they have fought to keep their heritage alive, Mr Yousaf adds. Tory MSP Donald Cameron says his party have always welcomed the Islands Bill and will vote to pass it at decision time. Mr Cameron argues the four year report, brought in by his colleague Jamie Greene in the last amendment debated earlier this afternoon, could be one of the most important additions to the legislation. The Tory MSP praises the efforts of the Our Islands Our Future campaign. He tells the chamber: "For too long presiding officer this parliament has felt too remote to islanders, and with this Bill islanders can no longer be ignored." The Tory MSP argues that it is refreshing to see the government move power away from the centre for once, rather than the other way round. Labour MSP Rhoda Grant states much work is still to come around strengthening the national islands plan. We need to strengthen island communities and we need to build them, the Labour MSP argues. This will help them grow and become much more sustainable, she adds. "There has to be jobs and there has to be opportunities to allow them to come back." This Bill has the potential to do that, Ms Grant argues. Last October we reported that business leaders on Scotland's islands have called for more to be done to improve the infrastructure and encourage young people to stay. A survey of 275 island firms by the Federation of Small Businesses (FSB) found 88% said they faced challenges that mainland businesses do not. The report identifies transport and affordable housing as priorities. The Scottish government said it was investing millions in digital connectivity, transport and housing.